Zoom (DOB 7/24/13) is a UKC registered Staffordshire Bull Terrier. She is from the Boom/Sally breeding. She has her father's awesome personality and temperament. She is extremely athletic, fast and focused. 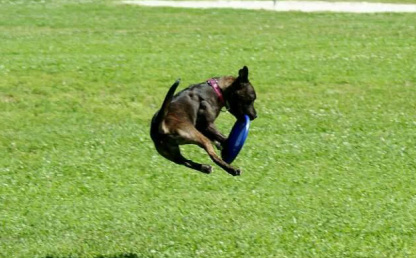 She is very drivey, and loves flyball, disc, and agility.